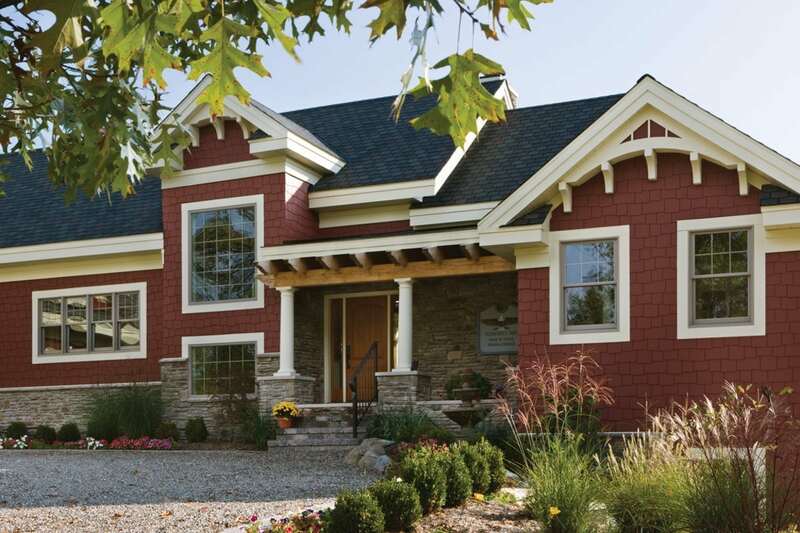 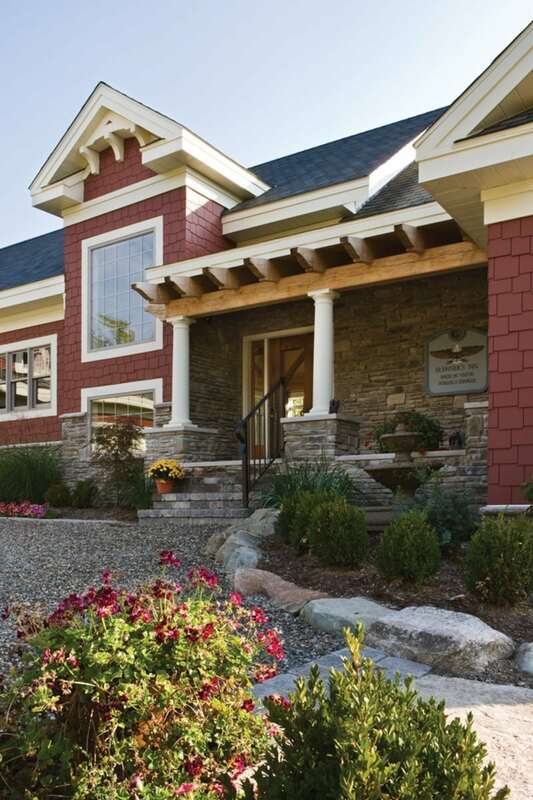 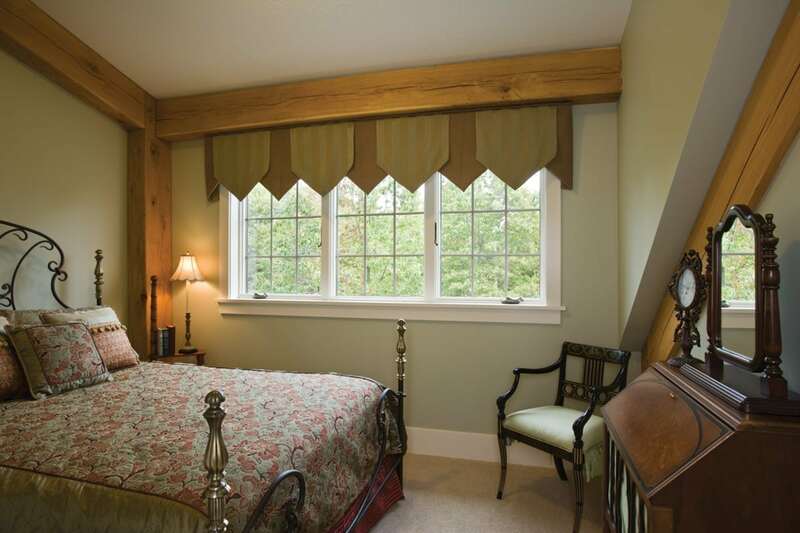 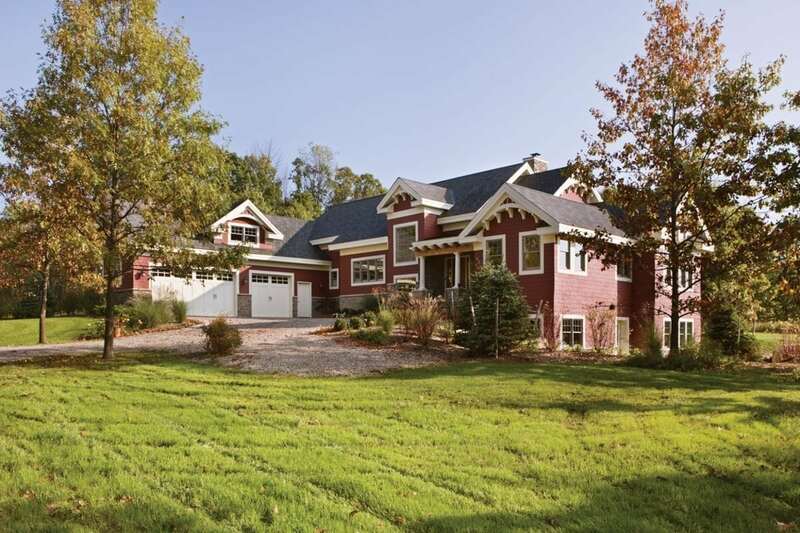 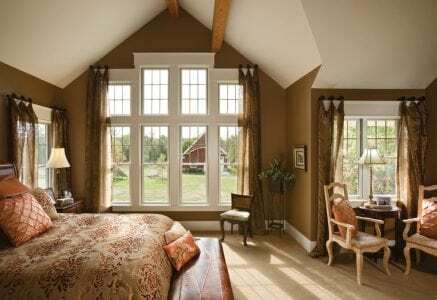 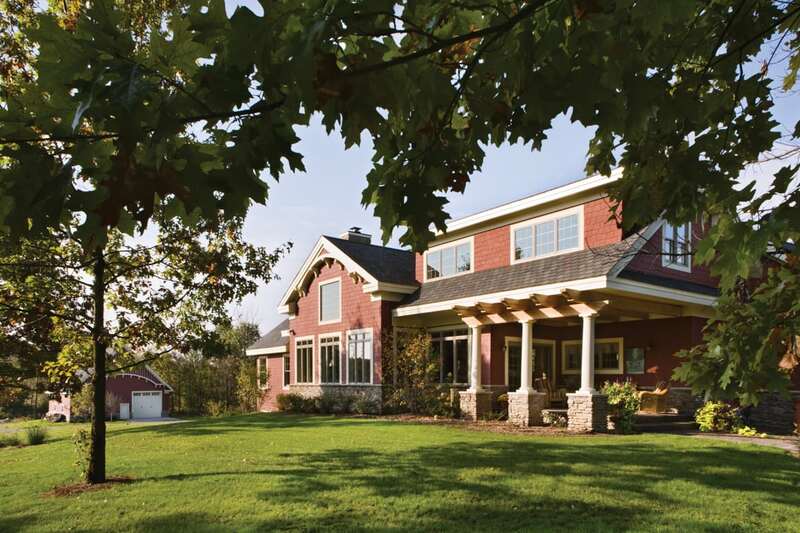 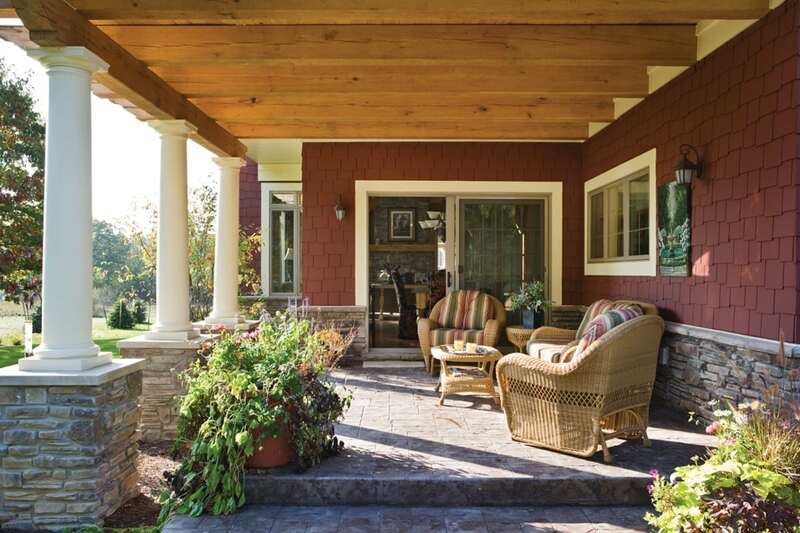 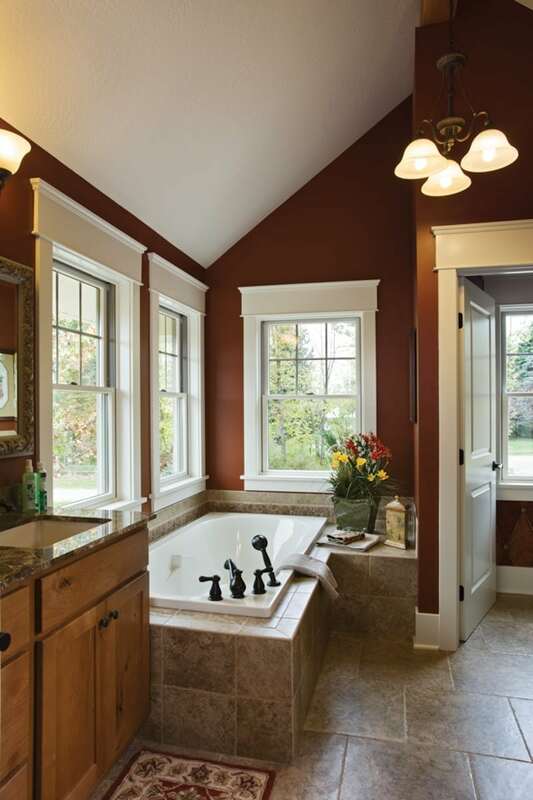 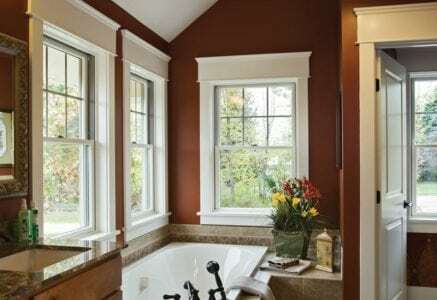 Red shake paired with white accents and trim help this Ann Arbor timber frame home make a grand first impression. 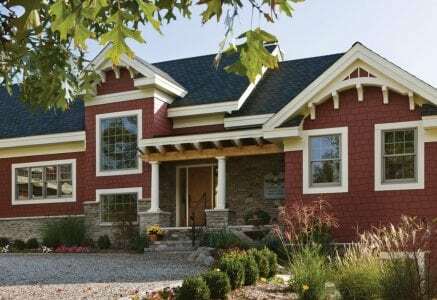 The arched timber-gable ends were painted white to blend with the exterior’s color scheme while a timber beam was left unpainted to draw attention to the entryway. 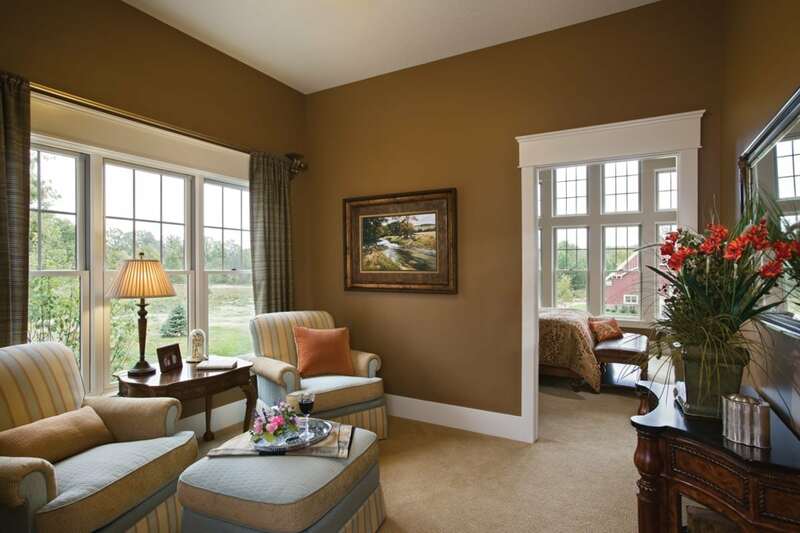 Most of the main floor is composed of the large master suite and public living area. 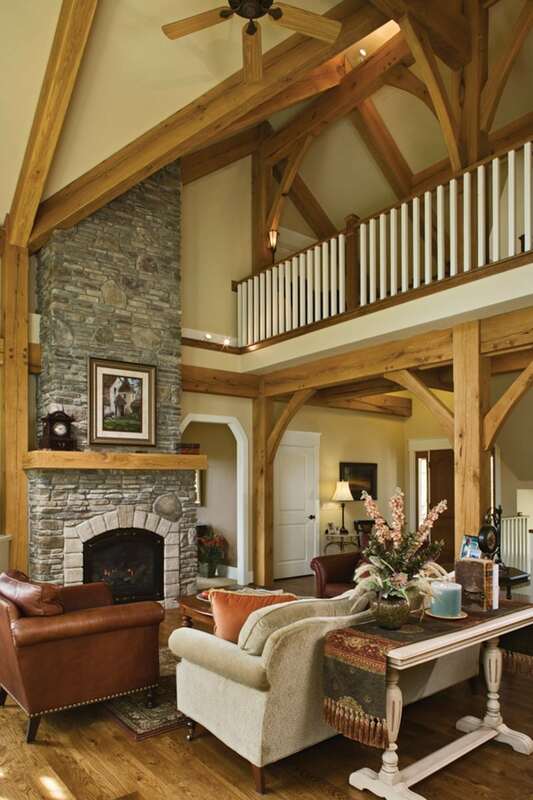 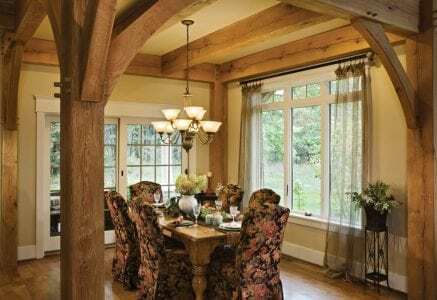 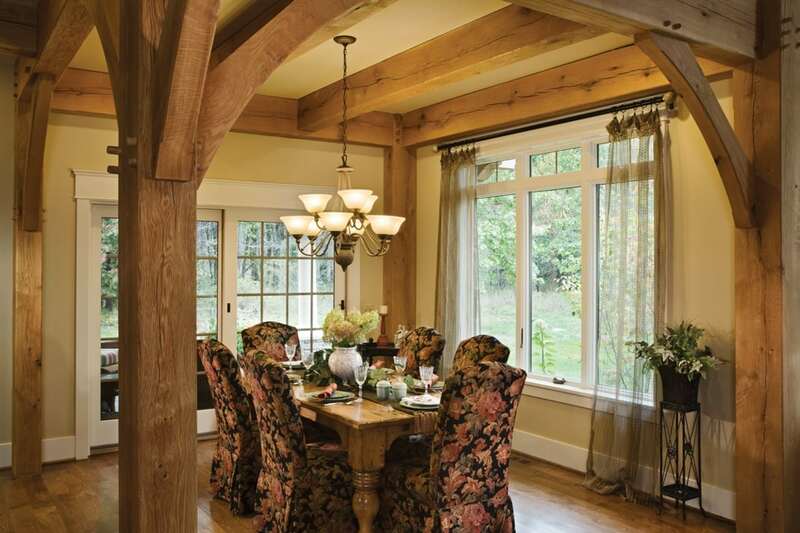 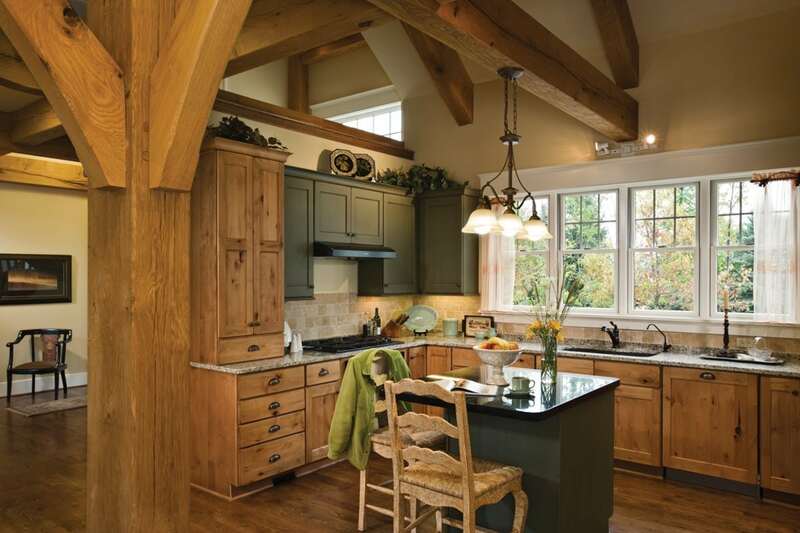 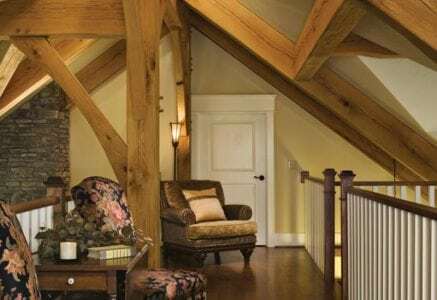 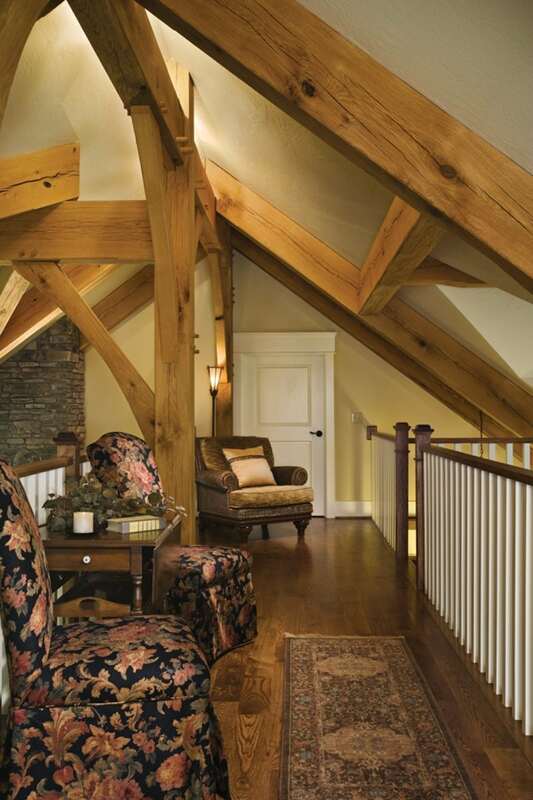 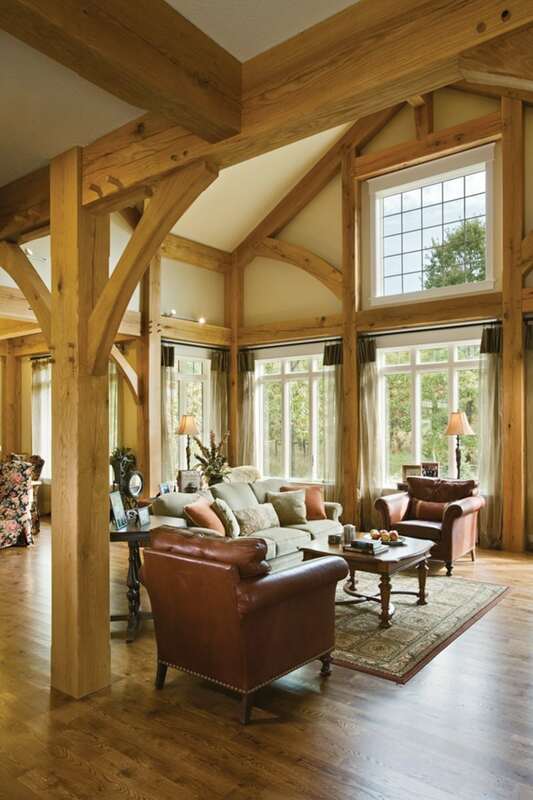 A timber bent, made up of four posts and curved struts, frames the great room and flows into the kitchen and dining areas. 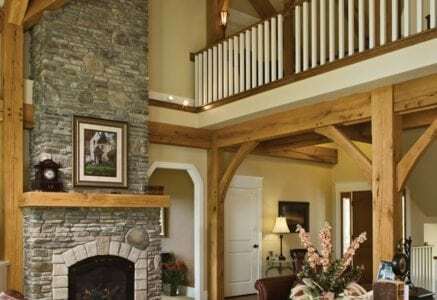 What you can’t see are the structural insulated panels (SIPs) that comprise the exterior walls and roof or the insulated concrete forms (ICFs) in the basement. 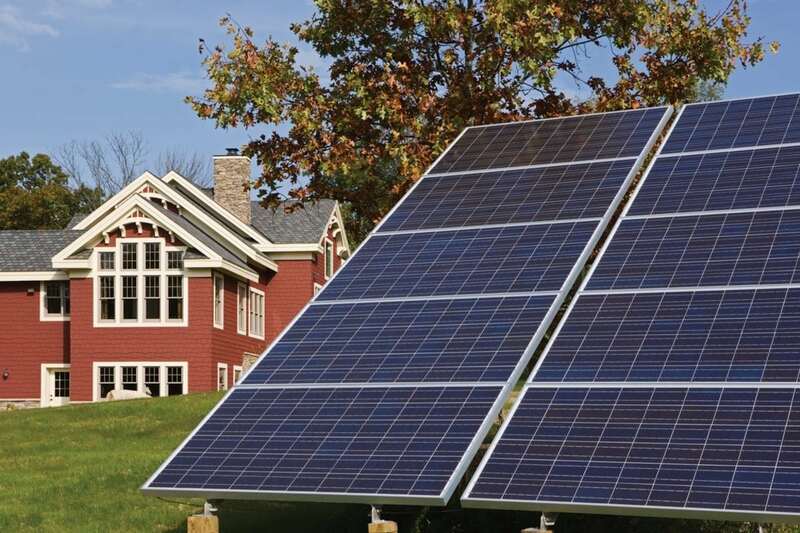 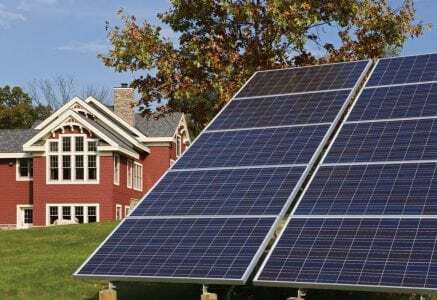 These super efficient building materials create the home’s tight energy envelope. 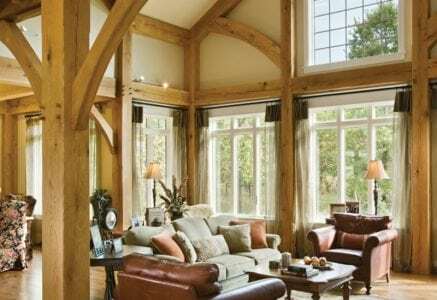 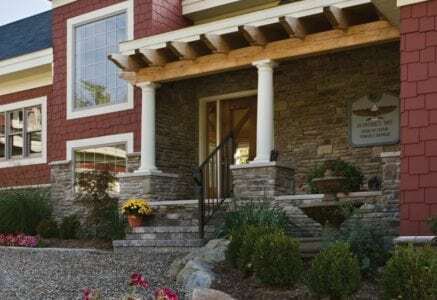 Together, they play a key role in creating an energy efficient timber home that has achieved many green building honors, including a HERS® score of 37, LEED Platinum status, and the Gold Energy Housing award.